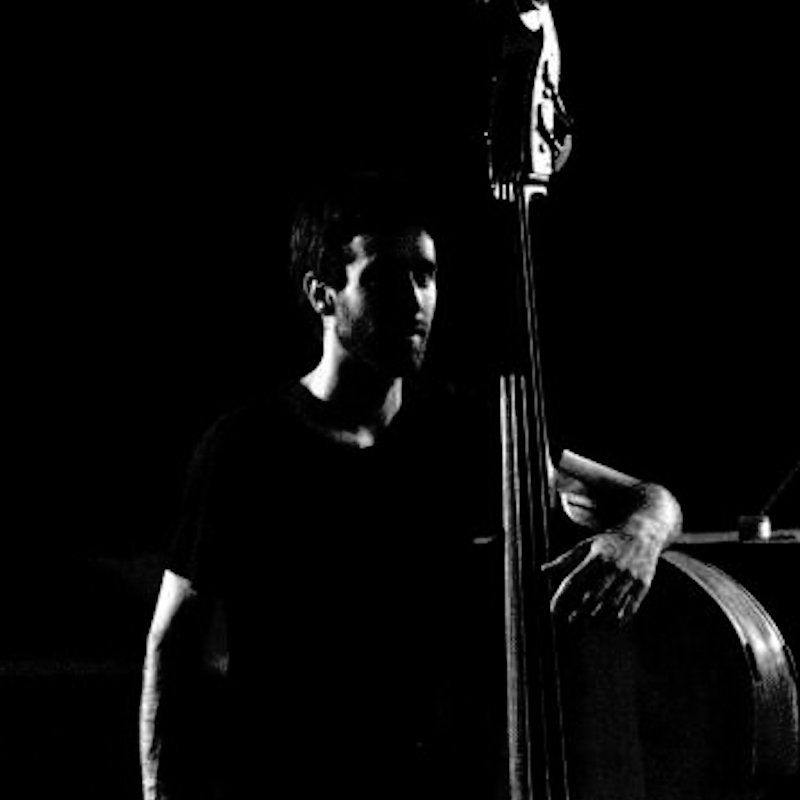 Adam Goodwin is a Texan double bassist, composer, and visual artist. He engages in a wide spectrum of artistic activity that involves frequent collaboration with various performers, composers, sound artists, choreographers, dancers, and visual artists. Having completed music degrees in both classical and contemporary double bass performance, Goodwin moved to Berlin to delve fully into the world of experimental and improvised music. This has lead to a number of ongoing collaborations, including Elmer Kussiac, the Berlin Soundpainting Orchestra, and the Vasana String Trio, which exclusively performs Goodwin’s original compositions. In addition to classical, contemporary, and experimental music, he is active within the Turkish and Arabic music scenes in Berlin. Goodwin’s musical approach places a heavy emphasis on physical gesture and spontaneity, along with a conscious consideration of the particular space and context in which the music is taking place. As composer and interpreter, he strives to obliterate the false pretenses that tend to surround contemporary art world, and return to a primordial mode of expression which places the highest priority on the individuality of the performer and the spontaneity of each unique moment.